Questions about how to support RPASF? The Relapsing Polychondritis Awareness and Support Foundation, Inc. (RPASF) is pleased to announce that we are the recipient of a partial research grant from the American Autoimmune Related Diseases Association, Inc. (AARDA), which will be matched by RPASF. As a result, RPASF and AARDA will be funding Dr. Marcella Ferrada’s relapsing polychondritis (RP) research at the National Institutes of Health in Bethesda, MD in the amount of $20,000. We are pleased to facilitate RP research and are most grateful to AARDA, the NIH, Dr. Ferrada, and RPASF’s other supporters. All content of this web site, such as text, graphics, images, or any other material contained in this website are for informational purposes only. The content is not intended to be a substitute for professional medical advice, diagnosis, or treatment. We do not recommend the self-management of health problems. We cannot and do not give you medical advice.If you think you may have a medical emergency, call your doctor or 911 immediately. 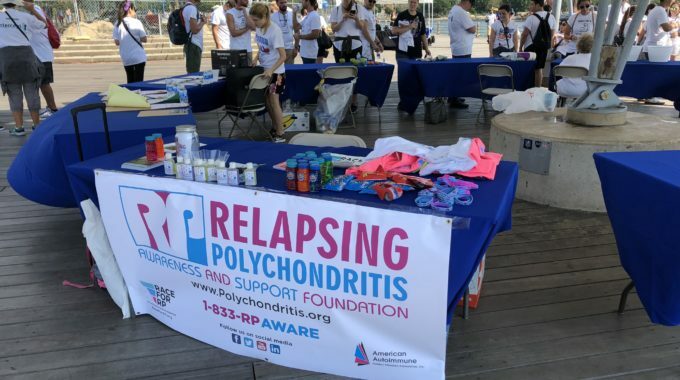 The Relapsing Polychondritis Awareness and Support Foundation, Inc is a nonprofit 501(c)3 corporation. Donations are tax deductible as allowed by law.